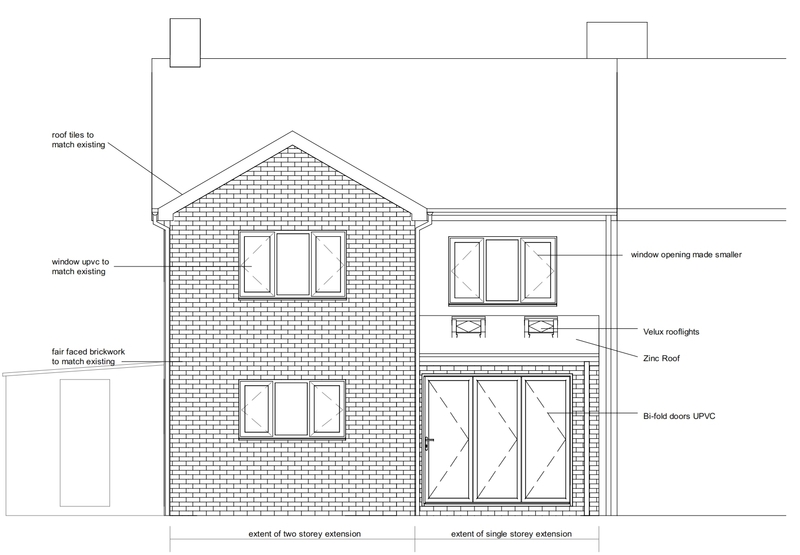 Aylesbury Vale District Council has this week granted planning permission for a part two storey and part single storey rear extension for the home of a local resident, based in the expanding village of Haddenham. The homeowner wanted to improve the internal layout of her 3-bedroomed, semi-detached home; presently there is a large but long lounge, undersized dining room and inharmonious kitchen/utility space. Once the consented works have been carried out, there will be a larger and well-designed kitchen, enough space for an adjacent dining/family area with floor to ceiling folding doors into the rear garden, and a separate utility/WC. On the first floor, there will be an extra bedroom for the growing family. The homeowner is thrilled with the outcome, and looks forward to making a start soon. In the meantime, we are working on the specification for her with a view to shortly inviting builders to quote for the works. This entry was posted in AVDC, Aylesbury Vale District Council, Buckinghamshire, extension, House Extension, Kitchen extension, planning consent, planning permission, Residential on October 29, 2018 by admin.